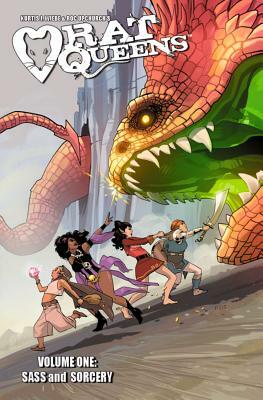 The Rat Queens are a brash group of lady adventurers. A hipster dwarf, an atheist cleric, a rockabilly Elven mage, and a hippy Smidgen thief walk into a bar, down some ale, and take on the forces of evil in this bawdy, grown-up play on the fantasy genre. Gory, hilarious, and definitely NOT for kids!